Many times there seems to be some confusion or lack of clarity on whether the Vedic path condones or condemns the eating of meat. Often times I hear Indians and followers of the Vedic path explain that meat eating is all right, that the Vedic shastras do not condemn it. Of course, in this day and age meat eating includes and supports the whole meat industry, which is the systematic slaughter of thousands of animals on a daily basis. But if we actually research the Vedic texts we will find that there are numerous references in the various portions of the Vedic literature which explain in no uncertain terms the karmic dangers of meat-eating and unnecessary animal slaughter. These indicate that meat eating should be given up for one's spiritual and even material progress. This means that the Vedic conclusions that some people present for meat-eating are not accurate, and that they have never studied their own religious books very thoroughly. This is something that is important to understand, so let us take a look. ஸ்ரீ பெரியவாளிடம் நாற்பது வருடங்களுக்கு மேல் பூஜா கைங்கர்யம் செய்து வந்தார், குள்ளச்சீனு அய்யர் என்பவர். அவருடைய புத்திரர் ஸ்ரீ மடத்தில் இப்போது சாமவேத அத்யாபகராயிருக்கும் ஸ்ரீ சந்திர மௌளிச்ரௌதிகள் சுமார் ஆறு வருஷங்களுக்கு முன் (2000 ஆண்டு வாக்கில்) உடலில் திடீரென்று வாயுத்தொல்லை அதிகமாகி எங்கேயாவது ஓடிப்போய்விடலாமா என்ற நிலை ஏற்பட்டது. ஆனால் வயதான தாயாரையும், குழந்தைகளையும் தன்னிடத்தில் படிக்கும் மாணவர்களையும் விட்டு விட்டு, எப்படி எங்கே போவது ? - என்று நிலைகொள்ளாமல் ஸ்ரீ பெரியவாளையே பிரார்த்தித்துக்கொண்டு இரவில் படுத்துக்கொண்டார். அப்பொழுது கனவில் கையில் தண்டமில்லாத சன்யாஸிபோல் தோற்றமளித்த ஒருவர் சந்திரமௌளியை, ‘என் பின்னாலே வா’ என்று அழைத்துக் கொண்டு ஸ்ரீ பெரியவாள் சிவாஸ்தானத்தில் வழக்கமாகத் தங்கும் இடத்திற்குச் சென்று, ஓர் இடுக்கு வழியாக உள்ளே சென்றுவிட்டார். மௌளி மட்டும் வெளியே நின்றுகொண்டு அந்தப் பலகணி வழியாக எட்டிப் பார்த்தார். அப்போது ஸ்ரீ பெரியவாள், வெறும் துண்டு மட்டும் கட்டிக்கொண்டு படுத்துக் கொண்டிருந்தார்கள். பக்கத்தில் வேறு இரு சன்யாஸிகள். ஸ்ரீ பெரியவாள் சந்திரமௌளியைக் கூப்பிட்டு கையில் இருந்த எதோ ஒரு யந்திரம் எழுதியிருந்த தகட்டை நன்றாகத் துடைத்துவிட்டு ‘என்ன எழுதியிருக்கிறது?’ என்று படிக்கும்படி உத்திரவிட்டார்கள். எந்த ப்ரஹ்மத்தை வேதங்கள் உருவமற்றதெனவும் குணங்களற்றதெனவும் கூறுகின்றனவோ, எந்த ப்ரஹ்மம் உருவெடுத்து காஞ்சி காமகோடி பீடத்தை அலங்கரித்து தனது குணாதிசயங்களால் உலகமெல்லாம் புனிதமாக்குகின்றனவோ அந்த "ஸ்ரீ சந்திரசேகர சரஸ்வதி" யென்னும் ஜகத் குருநாதரின் பாத சரணாரவிந்தங்களில் நாங்கள் எதைச் செய்கிலும் சமர்ப்பிக்கிறோம். That brahman which the vedas say has no form or attribute, That brahman which has taken a human form and decorate the kanchi kamakoti peetam and sanctify the world by its characteristic features, To that jagatguru Sri Chandrasekara Sarawati's holy feet, we submit whatever we do. There has been no dearth of good and pious people in this holy land of ours. Some of these great men, whose names come to our mind effortlessly, are Samartha Ramdas, Tulsidas, Thayumanavar, Pattinathar, Appayya Dikshitar, Appar, Tirugnanasambandar and Ramalingaswamigal. These saints and devotees of God devoted all their time to doing good deeds only. They have left behind a wealth of devotional and metaphysical literature which is a perennial source of inspiration to us. These good personages were incessantly engaged only with goodness in thought, word, and deed. Nothing evil came anywhere near them. The only way to avoid evil is to engage our minds fully and always in good things, without giving thought to evil, even in a negative way. If a person takes a resolve not to think of, speak, or do evil, (which is thinking of evil in a negative way) he is likely to lapse into evil immediately and powerfully, as he will be reminded of evil, by the very fact of his resolve not to think of evil. An old sanyasin was once asked how he overcame the promptings of kaama (desire). His reply was that when kaama knocked at his mind’s door, it found his mind so busy that it withdrew of its own accord. A vacant mind provides opportunities for evil thought, temptation to gossip, etc., to enter it. When once an evil like kaama enters the mind, it will establish its sway there. But, if the mind is filled with good thoughts always and we are also consequently engaged actively in doing good deeds always, evil influences dare not come anywhere near us. The sure way of getting rid of dus-sangam (bad company) is sat sangam (good company). 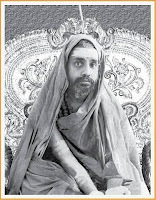 The Sastras are the final authority for deciding what one should do or should not do. It is our duty to understand the sastras and follow the injunctions contained therein. All religions guide us towards salvation, the ultimate goal of life. In fundamentals like devotion to God, speaking the truth and helping others, there is no difference between one religion and another. The difference between religions is mainly in regard to certain doctrines and practices, which are the outcome of the varying experiences (anubhava अनुभव) of each religious teacher. That is why Hinduism does not advocate conversion. We believe that if a person faithfully follows the teachings of his religion, he will obtain salvation; which is the goal pointed out by all religions. There is, therefore, no need for extolling one religion or decrying another; wisdom lies in developing the spirit of tolerance (samarasam, समरसम् ). 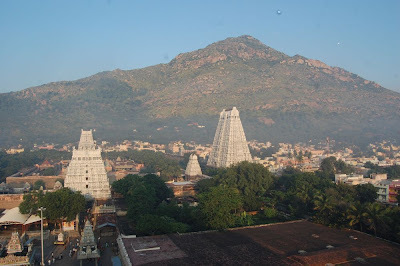 Sri Kunju Swami said, “Once Bhagavan pointed to the Holy Arunachala Hill and said: ‘This is the storehouse of all spiritual power. Going round it you benefit in all ways. Just as it is highly beneficial when you perform japa in Varanasi, so also by going round the Hill you get countless benefits. It is called sanchara samadhi. 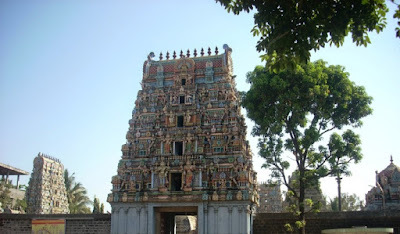 The only ancient temple where Lord Nataraja is the presiding deity is located in Chidambaram and the unique feature of that temple is the famous “Chidambara rahasyam” (Cosmic secret) that is written in the Bilwa leaves kept in the sanctum sanctorum. Nobody knows the details of the inscriptions. By the directive of Kanchi Mahaswami Sri Chandrasekarendra Saraswati Swamigal, a replica of this temple was built in Satara in Maharashtra called “Uttara Chidambaram”. Great care was taken to ensure that every bit of it looks similar to the original and then came the most important step. How to replicate the Chidamabara rahasyam? After all, nobody knows the details! Except of course, the all-knowing Almighty! Mahaswami came to the rescue. 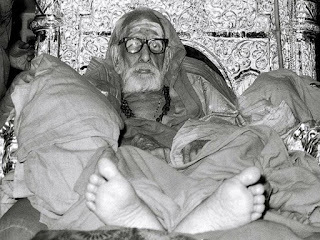 He dictated the entire rahasyam to a Panditji who wrote it on the Bilwa leaves and the moment the job was done, Mahaswami said “ May you forget the Rahasyam right now!” and lo! 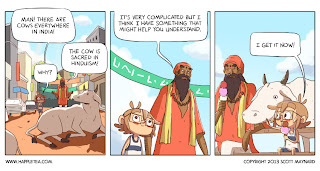 The Pandit forgot the whole thing. Clearly, it is God who gives us remembrance and removes it too. The expressions, Vaazhkai murai and Vazhkaittharam (வாழ்க்கை முறை வாழ்க்கை திறம்) are recent additions to the Tamil vocabulary, being the translation of the English terms “way of life” and “standard of living”. What we should do, think and say, from the time we get up from bed in the morning till we go to sleep in the night, are determined in our Saastraas and goes by the name of Aachaara-anushtaanam. But, as this has a religious bias, secular-minded people have come to prefer the expression, vaazhkai murai. It has been laid down that when we get up in the morning, we must do Narayana smaranam (thinking of Sri Narayana and uttering his holy name). Thereafter follow the duties of the day (like saucham, snaanam शौचetc. for cleansing the system of all impurities internal and external). There are rules, methods and time for each duty. But these aachaaras (daily practices) vary according to the region of the country. If we take an overall picture of the whole of India, we find that each part of the country lays emphasis on a particular aachaara. For example, in Kerala, almost everyone bathes only in tanks or rivers and people go to temples wearing wet clothes after bathing. In Bengal, widows of all communities shave their heads. They observe complete fast on Ekadasi day, without taking even a drop of water. They also cook their own food and will not touch fish, a common article of food in the Bengal diet. In some parts of the country, people wear a separate cloth known as madi, when taking food. In Uttar Pradesh one person will not drink from another person’s vessel. Each person will carry his drinking bowl wherever he goes. These and other observances constitute the aachaaras and anushtaanas of the country; but, as in the story of the blind men and the elephant, people in each part of the country firmly believe that only what they observe is aachaara, and that a differing practice is anaachaara. (The following is a summary of speech in Sanskrit delivered to the students of the Hindu Theological High School, when His Holiness visited that institution on May 1, 1958). Purity of mind (Chitta suddhi, चित्त शुध्दि:) is the basis on which sanatana dharma rests. While every one of us is very much attached to our Dharma and feels proud of it, very few actively practice the principles enunciated therein. Several factors contribute to purity of mind. Of this, purity of food is an important one. The maharshis have declared that purity of food leads progressively to the cultivation of several virtues. The taking of food is a physical act. What bearing could it have on purity of mind? This is a doubt that is likely to arise. By means of an example, not quite edifying, the relationship between the nature of food taken and the quality of mind may be illustrated. Let us take the example of liquor. Does not its use definitely affect the mind and bring about its distortion? Thus some articles of food exercise wholesome influence on the mind, while others evoke unhealthy tendencies. There is no doubt that the quality of food has a subtle psychic and psychological effect. That is the reason why we have in our land a comprehensive code of restrictions relating to food. வாழ்வில் நல்ல திருப்பத்தைத் தரும் திருத்தலம், பணம் நிரம்பி வழியும் உண்டி, அற்புத ருசி தரும் லட்டு, லட்சக்கணக்கான மொட்டைத் தலைகள், கோவிந்தா என்று உருகும் கோஷம், ஜருகண்டி என்று தேசியமயமாகிவிட்ட வார்த்தை! நமக்கெல்லாம் இப்படித் தெரிந்த திருப்பதியைவிட அந்த ஸ்தலத்தின் பிரமாண்டத்தை வெகு சிறப்பாக வெளியிட்டிருக்கும் இந்தப் புத்தகத்தின் ஆசிரியர் ஒரே ஒரு குண்டையும் வீசியிருக்கிறார். திருப்பதி கருவறையில் இருப்பது பாலாஜி அதாவது மகாவிஷ்ணு அல்ல என்று, 13 வருடங்கள் திருப்பதியில் கோயிலுக்குப் பக்கத்திலேயே வசித்த இந்தப் புத்தக ஆசிரியரின் வயது 85.. கர்ப்பக்கிரகத்தின் மிக அருகாமையில் உள்ள புனிதமான குலசேகரப் படிக்கட்டிலிருந்து 1945-களில் அபிஷேகத்தைப் பார்த்தவர். என்ன சொல்ல வருகிறார்? புத்தகத்தின் சாராம்சத்தை கீழே படியுங்கள் பிறகு நேரில் அவரை கண்டு எடுத்த பேட்டியைப் படிக்கலாம். Over the years we have all heard about the many attempts that have been made in India to convert various sections of society from Hinduism to either Christianity or Islam. Many Indians, are not fully aware of how the war against Hinduism is happening, nor how serious it is. 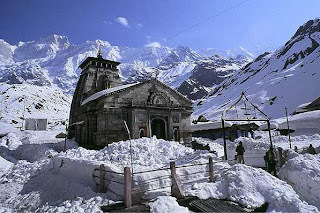 It is taking place on many levels, and because of this, in some areas, the practice of Hinduism is declining rapidly. The emphasis, in Basic Education now-a-days, is on self-reliance and this is attempted to be fostered even from childhood. But the important thing on which each one of us must be self-reliant is in respect of the preparation of food. In this regard, we, in South India are dependent on others. It is not uncommon to hear that the justification for a person marrying a second time, even after he is 50 years of age, is that he wants a wife to cook his food, though there is a prohibition in the Sastraas of one marrying after that age. Sanskrit and Veda Patasalas are very few in South India, compared to their number in North India. In undivided Madras, before Andhra and Kerala separated, there were only 140 such Patasalas, while in Bengal and Uttara Pradesh, their number exceeded 1,500. In the Punjab and in Madhya Pradesh too, their number exceeds 1,000. It is strange that in South India, the number of Patasalas should be so few. It cannot be due to want of sraddha (desire to learn) among the people here, or to lack of ability to study Sanskrit. The reason has to be sought in the cost of maintaining the Patasala kitchen, with all its paraphernalia of provisions and utensils, cooks and managers. The cost and the trouble of running a kitchen stand in the way of starting and maintaining such Patasalas. In the North, kitchen presents no problem in the running of Patasalas. For one thing, cooking is not such an elaborate process there, as it is here. For every Patasala in North India, there will be one provision dealer willing to supply atta (flour), required both for the students and for the teachers. Each person will draw his share of atta, knead and flatten it, and bake the rotis (bread); so prepared directly over the fire which is kindled with a few dry sticks. The rotis are eaten with a little boiled dhal or buttermilk and washed down with a glass of water. This is a practice which we, in South India, may do well to copy. We must make a beginning by simplifying our food habits to such an extent that each of us can cook his own food, without having to spend much time and thought over it. Learning to cook must therefore form an essential part of Basic Education. பரதகண்டம் ஒரு பெரிய நாடு. அது முற்காலத்தில் பல்வேறு அரசுகளுடையதாயிருந்தது. அவையெல்லாம் ஒழிந்தன. அக்கண்டத்தை ஒரே அரசு கைக்கொண்டது. அது ஆங்கில அரசு. இப்போதிருப்பதும் அதுவே. அக்கண்டம் பல மொழிகளையும் உடையது. அவையெல்லாம் பழையன ஆனால் அவை மறையவில்லை. ஒரேமொழி வழங்கும் நிலைக்கு அக்கண்டம் இன்னும் வந்திலது; இனியும் வராது. 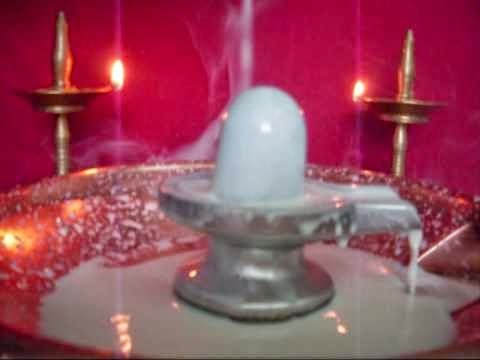 அம்மொழிக்காரருட் சிலரோ பலரோ ஒரே யிடத்திற் கூடுவர். அவ்வின்றியமையாமை அடிக்கடி நேரும். சுயம்வரமண்டபங்களை யறிக. அவற்றிற் கூடுபவர் தம்முட்பேசி உறவாடாமலிருக்க முடியாது. அப்பொருட்டு அவர்க்கெல்லாம் ஒரு பொதுமொழி இருந்தே தீர வேண்டும். அது தான் சம்ஸ்கிருதம். தமயந்தியின் சுயம்வர்த்தில் வந்த பல்வேறுமொழி மக்களும் அம்மொழியிலேயே பேசிக்கொண்டனர். அவ்வுண்மையை ஹர்ஷர் நைஷதத்திலும் அதிவீரராம பாண்டியர் நைடதத்திலும் விளக்கியுள்ளார். இருவரும் வித்துவத் தலைவர், அரசச் சிரேட்டர். Sri Aurobindo: “The recovery of the perfect truth of the Vedas is not merely a desideratum of our modern intellectual curiosity but a practical necessity for the future of the human race. The Vedas are the most valued texts in the Bharatiya tradition and are regarded as the highest source of knowledge. But what do they contain? Are they merely socio-historic texts describing warring tribes that perform sacrifices to nature Gods asking their favors in return? Or are they detailed manuals of rituals? Or are they in fact the storehouse of very advanced scientific knowledge? Maybe there is some truth in all of these interpretations. But if these were the sole contents of the Veda why did the Upanishads and the later philosophies, acknowledged for the keen spiritual insight and intellectual genius, refer to them as the unparalleled books of wisdom? If one concludes that there is possibly much more to the Vedas than generally accepted by the scholars, a pertinent question would be whether this knowledge is of any relevance to the needs of modern man in the 21st Century? In this context Sri Aurobindo, says, “The recovery of the perfect truth of the Vedas is not merely a desideratum of our modern intellectual curiosity but a practical necessity for the future of the human race.” With the available interpretations of the Vedic texts one might doubt the validity of such a bold affirmation. But if there is any truth whatsoever in Sri Aurobindo’s declaration, it becomes imperative to seek out that ‘perfect truth of the Veda’ for the future well-being of mankind. 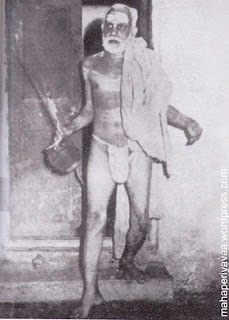 "Today while I was practicing at home, I heard a nadaswaram like sound from the road and somehow it attracted me ,so I called the fellow to my home and he played in the front courtyard. I could feel the music is spread all over the parts of world. When I asked him about the raga he is playing, he answered that he doesn't know anything about the ragas or swaras. I feel it's exactly like when a Hindu priest showers the holy water on to the devotees, the drops spreads in all the directions and is received by all, in th same way this man also received the drops of music from the almighty as I received. In my career spanning 50 years, I was always recognized and adored by my fans, but today I felt so happy that this person didn't even recognized me as Yesudas even though we spent nearly an hour musically. Some people may or may not believe in fate, but in my experience I realized that education is the most important thing in life." The aim of every man should be to know the Truth and if any one dies before realizing the Truth, he will not have achieved the purpose of his birth. In the ultimate analysis, Truth is Isvara or Paramatma. 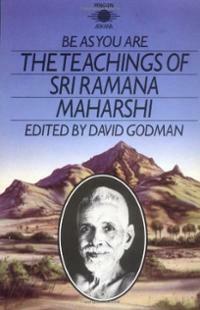 When we realize the Paramatma, the ego in us will vanish. The jeevatma in us will get merged with the Paramatma, even as all rivers lose their identity in the ocean. This is what Vedanta teaches us. But the realization of the Truth or Paramatma is not an easy process. A course of preliminary discipline has to be gone through. Eight steps or ashta angaas, like yama, niyama, praanaayaama, dhyaana, etc., have been prescribed. Without climbing these eight steps, one by one, it is not possible to achieve realization, or, Brahma saakshaatkaara. The first step, yama, consists of five observances pertaining to ethical codes of conduct. In other countries, ethics is an end in itself. But, in Hindu philosophy, ethics is one of the means to knowing the Truth. If children are trained to observe high ethical standards, many of the administrative worries of the government will cease to exist. Unfortunately, the governments believe that their responsibility is over if they make provision to give children education in the three R’s and in subjects like history, geography and science. This policy is causing the country several head-aches. Police protection has become necessary to enable people to exercise even their fundamental freedom of worship. If money is spent in building up the character of our people and in instilling devotion in them, the state will be able to economize in the police budget. ஆன்மிக வாழ்க்கை மூளையில் ஏற்படுத்தும் அதிசய மாற்றங்கள்! सहमानाय- To one who subdues enemies, or bears devotees’ faults, निव्याधिने- capable of striking enemies well, आव्याधिनीनां- of armies, capable of facing and striking all, पतये- to Parameswara, the lord of, नमः- prostration. Like in the second Anuvakam, here in the third Anuvakam also, Parameswara is worshipped as the Supreme Lord in the first eight Yajurmnatras. For the term ‘Aavyaadhininam pataye’ meaning the lord of valorous armies, the two adjectives ‘sahamanaya’ and ‘nivyadhine’ explain the reason. Is it not natural that Parameswara, who subdues and rules over all and strikes the enemies, is the lord of valorous armies? Though he is the head of valorous armies and strikes the enemies, when it comes to his devotees, he ignores their faults and bestows his grace; this is conveyed by the adjective ‘sahamanaya’. வடக்குக்கயிலை. தெற்குக்குமரி. மேற்குச்சோமநாதபுரம். கிழக்குப் புஷ்பக நகரம். இந் நான்கெல்லைக்குட்பட்டது பாரத தேசம். இதன் சநாதன தர்மம் சைவ சமயம். இவ்வுண்மையை அவ்வெல்லை கூறியதால் அறிக. 'முத்தேவ ராதி புலவோர்கள் விண்ணின் முழுதின் பகற்றி யருளின் பித்தேறி நின்ற முனைவன் பதங்கள் பெருகன்பி னோடு பணியு மத்தேய மான வுயர்பாரதம்' என்றார் கச்சியப்ப முனிவர் பிரானார். 'Oh India, forget not that your ideal God is the great ascetic of ascetics Umanath Sankar.' என்றார் விவேகானந்தர். 'ஆரியரும் திராவிடரும்.....இந்தியாவுக்கு.........குறைந்தபட்சம் பதினாயிரம் ஆண்டுகளுக்கு முன்னர்........வந்தவர்கள். இமயமலையிலிருந்து குமரிமுனை வரையில் பரவி....... ஒருவரோடொருவர் பிரிக்க முடியாதபடி கலந்து.........(அவர்களின்) சமயக்கோட்பாடுகளும், சமூக வழக்க பழக்கங்களும், கலைகளும், பண்பாடுகளும் பிரித்துக்காட்ட முடியாதபடி கலந்து போயிருக்கின்றன. இமயமலையிலுள்ள நேப்பாள நாட்டிலிருந்து தெற்கே ஈழநாட்டிலுள்ள திரிகோணமலை வரையில் சைவ சமயமும், சிவலிங்க வழிபாடும், ஆயிரமாயிரம் ஆண்டுகளுக்கு முன்னாலிருந்து நிலைபெற்றிருக்கின்றன. சைவ சமயிகள் அணியும் புறச்சின்னங்களில் ஒன்றான ருத்திராக்ஷமணிகள் பல்லாயிரம் ஆண்டுகளாக நேப்பாளத்திலிருந்து தமிழ் நாட்டுக்கு வந்து கொண்டிருக்கின்றன' என்றார் 'கல்கி' யாசிரியர் டிசம்பர் 6, 1953 கல்கியில். இவை சில சான்றுகள். ஆகவே பாரத தேச முழுவதும் சைவஸ்தான் என்பதாயிற்று. 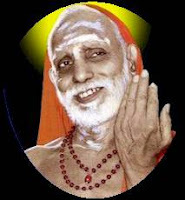 This class provides introduction about Sri Kapila Maharishis Sri Sankya Philosophy based on Sri Iswara Krishnas Karika and Sri Gaudapadas Bhashya. Also visit www.Shastranethralaya.org for other philosophies. சிவபெருமான் பார்வதிக்கு கொடுத்த வாக்குறுதி நிறைவேறும் காலம் கனிந்து வந்தபோதுதான் பாண்டவ சகோதரர்கள் சிவபெருமானின் தரிசனத்திற்காக கேதார்னாத்துக்கு வந்தார்கள். அங்கு வந்து சிவபெருமானை வேண்டி தவம் இருந்து வழிபட்டபடி அவரைத் தேடிக் கொண்டு இருந்தார்கள். பாண்டவர்கள் சிவபெருமானைத் தேடிக் கொண்டு அங்கு வந்தபோது அவர்களால் கண்டு பிடிக்க முடிகிறதா என்று அவர்களை சோதனை செய்து பார்க்க விரும்பிய சிவபெருமான் ஒரு மாடாக உருமாறி திரிந்து வந்தார். ஆனால் பாண்டவ சகோதரர்கள் சிவபெருமான் அங்கு வந்து தங்கி இருப்பது உண்டு என்றும் உண்மையான பக்தி கொண்டு அவரைத் தேடி அலைந்தால் அவரைக் கண்டு பிடிக்க முடியும் பிடிக்கலாம் என்பதையும் கிருஷ்ணர் மூலம் ஏற்கனவே அறிந்து இருந்தார்கள் என்பதினால் உண்மையான பக்தி கொண்டு சிவபெருமானை வழிபாட்டு வந்த பாண்டவ சகோதரர்களினால் சிவபெருமானே அந்த மாட்டின் உருவில் இருக்கிறார் என்பதை அறிந்து கொள்ள முடிந்தது. ஆகவே அவர்கள் அந்த மாட்டை வணங்கியபடி அதன் அருகில் சென்றார்கள். முன் ஒரு காலத்தில் கைலாய மலையில் பரமசிவன் தனது மனைவியான பார்வதியுடன் அமர்ந்து கொண்டு அனைவருக்கும் காட்சி தந்து கொண்டு இருந்தார். பல்வேறு இடங்களிலும் இருந்து வந்திருந்த பல ரிஷிகள் அங்கு வந்து தங்கி ஈசனை வழிபட்டுச் சென்றார்கள். அந்த நேரத்தில் பிருங்கி எனும் மாபெரும் முனிவரும் அங்கு வந்து இருந்தார். அவர் சிவபெருமானைத் தவிர வேறு யாரையும் வணங்க மாட்டார். சிவபெருமான் பார்வதிக்கு அனைவரும் பூஜை புனஸ்காரங்கள் செய்து முடித்தப் பின் அனைவரும் சிவபெருமான் மற்றும் பார்வதியை வழிபடத் துவங்க பிருகு முனிவர் மட்டும் சிவபெருமானை மட்டுமே வணங்கி விட்டு பார்வதியை வணங்காமல் சென்றார். “கிணற்று நீருக்குள் நீரை நிரப்பிக்கொண்ட குடத்தை இழுக்கும்போது கனம் தெரியவில்லை; ஆனால் தண்ணீர் மட்டத்துக்கு மேலே குடம் வந்தவுடன் கனக்க ஆரம்பித்து விடுகிறது. எளிதில் புரட்ட முடியாத பெரிய மரங்களை வெள்ளத்தில் உருட்டித்தான் புரட்டி இழுப்பது வழக்கம். லெளகீகத்தில் இருந்து சுத்தமாக விடுபட்டு விட்ட ஒரு சந்நியாசி, லெளகீக வாழ்வில் துக்கத்தைக் குறைப்பதற்குச் சொல்லும் அற்புத வழி அது. இந்துமதம் லெளகீகத்தையே முதற்படியாகக் கொண்டது என்பதற்கு சாட்சி. வாழ்வைப் பற்றிய சிக்கலில் மனதை ஈடுபடுத்திக் கொண்டு குழம்பித் தவிக்கும் கோடானுகோடி மக்களுக்கு இந்து மதம் ஒரு ஆறுதல் சொல்கிறது. சித்தம் தெளிவற்றிருந்தால் பிரமை பிடித்து விடுகிறது. அது தெளியும்போது, ஞானஒளி பெற்று விடுகிறது. இக வாழ்க்கையைச் சுகமாக்கித் தர, பிற மதங்கள் செய்யாத முயற்சியை இந்து மதம் செய்கிறது. தமிழும் வடமொழியும் பரதகண்டத்துப் பழங்கால மொழிகள். இவற்றுள் தமிழே தொன்மையுடைத்தென்றும் வடமொழியே தொன்மையுடைத்தென்றும் இக்கால ஆராய்ச்சியாளர் தம்முள் மாறுபடுகின்றனர். இவர்களிற் பெரும்பாலார் தம்மைச் சரித்திர ஆராய்ச்சி மிக்குடையாரெனச் சொல்லி மகிழ்வதுண்டு. தத்துவ ஆராய்ச்சி கைவந்த பெரியார் நாத தத்துவத்தினின்றும் முதன்முதல் தோன்றியது வடமொழியென்றும் அடுத்து அத்தத்து வந்தினின்றும் தோன்றியது தமிழென்றுஞ் சொல்லுவர். ஆயினும் இவ்விருதிறத்தினரும் பரதகண்டத்தில் இப்பொழுது காணப்படும் மொழிகளெல்லாவற்றுள்ளுந் தமிழ் வடமொழிகளே மிகப் பழையனவென்பதில் மட்டும் முரணார். A lot of folks here in the good ol’ United States of Fast Food Hamburgers & Grillin’ don’t really understand why the people of India let all those delicious animals roam around free and clear. “Surely someone, somewhere has a grill?” they ask to anyone willing to listen. Well, now you know why. Why would you ever hurt such wonderful creatures so willing to give us the milk we need to make sweet tasty ice cream!? Why, I ask you? முன்னொரு காலத்தில் சார்வாங்கன் என்பவன் தன் கடமைகளை மறந்து, தான் செய்த வியாபாரத்தில் பல தவறுகள் புரிந்து, கூடா ஒழுக்கம் கொண்டு வாழ்ந்து வந்தான். ஒரு கட்டத்தில் குடும்பத்தை விட்டுப் பிரிந்து களவுத் தொழிலிலும் ஈடுபட்டான். இறுதியாக விந்திய மலைச் சாரலில் உயிர் துறந்தான். அவனை யமகிங்கரர்கள் பாசக்கயிற்றால் பற்றி இழுத்து யமலோகத்திற்குக் கொண்டு செல்ல முற்பட்டபோது, சிவகணங்கள் அவர்களைத் தடுத்தனர். ‘இவ்வுயிரை கைலாயத்துக்கு எடுத்துச் செல்லப் போகிறோம்’ என்றனர். ஆனால், யமனின் தூதுவர்களோ ‘இவன் மகாபாவி’ என்றனர். அதற்கு சிவகணங்கள், ‘இவன் வாழ்ந்த முறை ஒழுங்கீனமானதாக இருக்கலாம். ஆனால், இவன் இறந்த இடத்திலிருந்து பத்து முழ தொலைவில் ஒரு ருத்ராக்ஷ மரம் உள்ளது. அந்த மரத்தின் அதிர்வலைகள் இவனை புண்ணியவனாக்கிவிட்டது. எனவே, இவனுக்கு சிவலோகப் பதவி கிட்டியது’ என்றனர். ருத்ராக்ஷத்திற்கு அவ்வளவு சிறப்பு உண்டு! தற்போது உத்திராஞ்சலில் உள்ள பத்ரினாத் மற்றும் கேதார்நாத் ஆலயங்கள் உள்ள பல இடங்கள் நிலச் சரிவாலும், பேய் மழையினாலும் சிதைந்த நிலைக்குப் போய் விட்டன. இந்துக்கள் மிகவும் புனிதமாகக் கருதி வழிபடும் பத்ரினாத் விஷ்ணு ஆலயம் மற்றும் கேதார்நாத் சிவன் ஆலயம் என்ற இரண்டுமே இன்று இடிபாடுகள் அடைந்து இன்னும் இரண்டு அல்லது மூன்று வருடங்களுக்கு அங்கு பக்தர்கள் செல்ல முடியாத நிலைக்கு சென்று உள்ளது மிகவும் துக்ககரமான நிகழ்ச்சியாகும் என்றாலும் இந்த நேரத்தில் இந்த ஆலயங்களின் தல வரலாறு மற்றும் அவற்றின் மகிமைகளை நாம் அறிந்து கொள்ள வேண்டும். இமயமலையின் அடிவாரத்தில் உள்ள கர்வால் எனும் மலைப் பிரதேசத்தில் கடல் மட்டத்தில் இருந்து சுமார் 10,000 அடி உயரத்தில் உள்ளது பத்ரினாத் ஆலயம். மேலே உள்ள மலை பிரதேசத்தில் உள்ள இரண்டு ஆலயங்களும் சுமார் 2500 ஆண்டுகளுக்கு முற்பட்டது என்றும், பத்ரிநாத் ஆலயத்தில் உள்ள சிலையை நிறுவியவர் ஆதி சங்கரர் என்றும், கேதார்நாத்தில் உள்ள சிவன் சிலை பாண்டவர்களால் ஏற்பட்டது என்றும் கூறப்பட்டாலும்,திருமால் நர-நாராயணராக (அர்ஜுனன் மற்றும் கிருஷ்ணராக) இங்கே தவம் செய்து சிவபெருமானை ஜோதிர் லிங்கமாக இத்தலத்தில் எழுந்தருளச் செய்தார் என்ற புராணகள் கதையும் உள்ளது. இந்த இரண்டு ஆலயங்களில் முதலில் பத்ரிநாத் மான்மியக் கதையைப் படிக்கலாம். இத்தனை மகிமை வாய்ந்த பத்ரினாத் ஆலயம் அமைப்பு எப்படியானது? அங்கு சென்று அவரை எப்படி வணங்குவது என்பதை எனக்கு விளக்குவீர்களா என அருந்ததி வசிஷ்டரிடம் கேட்க வசிஷ்டர் தொடர்ந்து கூறத் துவங்கினார். பத்ரினாத் ஆலயத்தின் எதிரே அமைந்துள்ள இரண்டு பர்வதங்களில் நர மற்றும் நாராயணன் என்ற இரண்டு முனிவர்கள் தவம் இருந்தார்கள் அவர்கள் வேறு யாரும் அல்ல கிருஷ்ணரின் இரண்டு அவதாரங்களே. மகாபாரத யுத்தத்தில் கிருஷ்ணராக அவதரித்தவரும் அந்த யுத்தத்தில் பங்கு கொண்ட அர்ஜுனனுமே அவர்கள் ஆகும். அந்த இருவரும் தவம் இருந்த அந்த இந்த இரண்டு மலைகளையும் நர நாராயண மலையென்று அழைக்கின்றனர். நரநாராயணர்கள் என்பவர்கள் ஒருவரே ஆவார். அவரே விஷ்ணு பகவான். My robes of Sannyasa were not the result of any renunciation on my part, nor had I the advantage of living under a Guru for any length of time. I was surrounded from the very first day of Sannayasa by all the comforts and responsibilities of a gorgeous court. But, it so happened that Tummuluru Rama Krishnayya and Adayapalam Pasupati Iyer both of them serving in the District Court of South Arcot and ardent disciples of my Gurus, were there in Kalavai when I took Sannayasa Asrama. Later, It became clear that they were determined to help me to mould my life in my youth. Ramakrishnayya being worried by a lot of family burdens, in spite of his detached mentality, it fell to the lot of Pasupati to shoulder the task. Pasupati devoted most of his leisure to solitary meditation and reading Vedanta Prakaranas of Treatises of Sri Sankaracharya. Such a man retired from Government service soon after my ascending the Gadi and lived with me always, watching my every action, speech and twinkling of the eye. He even curtailed his mediation in order to devote some time to the supervision of the secular administration of the Mutt.